Everybody loves Bob Marley. Certainly it is because of songs like this that are so simple, but so groovy. 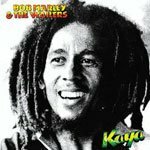 Easy Skanking is off of Bob’s great Kaya album. It has four chords, but only in pairs found throughout each section – A to F#m and D to C#m. Which is great because you can take the time to get familiar with those chords without feeling pressured to make it through all four in one go. Add in a reggae strum on the 2 and 4 beats and you’re good to go! Need a hand with figuring out the chords? Easy Skanking, (skanking it slow). Oh God, I got to take a lift, (lift). That's why I'm staying with this riff, (riff). We're taking it slow, (ooh, wah, da, da, da). Honey for my strong drink, (ooh, wah, da, da, da). Herb for my wine,  honey for my strong drink.